Create an interior of the jungle where the Dinosaur dwells:If the theme of the restaurant is dinosaur than you need to make the restaurant like a jungle where they live. And the same is super easy and not an expensive venture for you. You just need to create a modern jungle with the greenery around and you can place animatronic dinosaur around the corners or can hang them from the ceiling to give the look of the restaurant. The restaurant can also use to showcase a platform where there were just dinosaurs are there playing around and the lightning can be created around the dummies. This section of your restaurant will definitely attract the visitors towards itself and especially the children went to visit for fun. Dinosaur Videos, documentary, and movies:This method can be only useful if you have a big space outside your restaurant otherwise you can ignore the same too. If you have a space outside your restaurant tan you can decide a day in the week when you can show a movie based on dinosaur’s life. The movie must be free of cost while you can charge them for the drinks and food which they have bought while watching the movie. Vegetarian and non-vegetarian menu and crockery:The crockery plays an important role in any restaurant as you need to make the same as attractive as possible. In a dinosaur theme restaurant, the crockery should be customized with dinosaur pictures. And each plate or spoon should be printed with the different picture so that it justifies the theme and you can also put some on display and if your clients want one to be taken to their home then you can look forward to selling them off too. The menu is again an important part of most of the dinosaurs are considered to be carnivores, but some are guessed to be herbivores too. So, you can keep your menu like justifying both the habits. The names of the dishes can be innovative based on jungle foods and as it will be an innovative way to make your restaurant like a home for dinosaurs. Skeleton hall:As nobody has seen dinosaurs till date as they have already extinguished thousands of years ago before we came into existence too. The assumptions and all the things that we know about the dinosaurs from their skeletons found as fossils deep inside the earth. You can also put skeletons in your hall, but do put a board for not to touch. You can also display various facts about them on a board and place nearby to them. It can be a wonderful option as the children’s will feel the thrill and excitement at the same time while visiting the restaurant. Dinosaur Costumes:Once getting a dinosaur costume was a difficult task, but nowadays it is a kind of cakewalk with so many companies coming into the same profession. You can employ someone who can wear the dinosaur dresses and can roam around the place for you. The person can offer candies and gifts to children and chocolates for the adults. But do remember the costume should change it should not be like the children who are visiting your restaurant can found them same every time they made a visit, so do take care of no repetitions around. 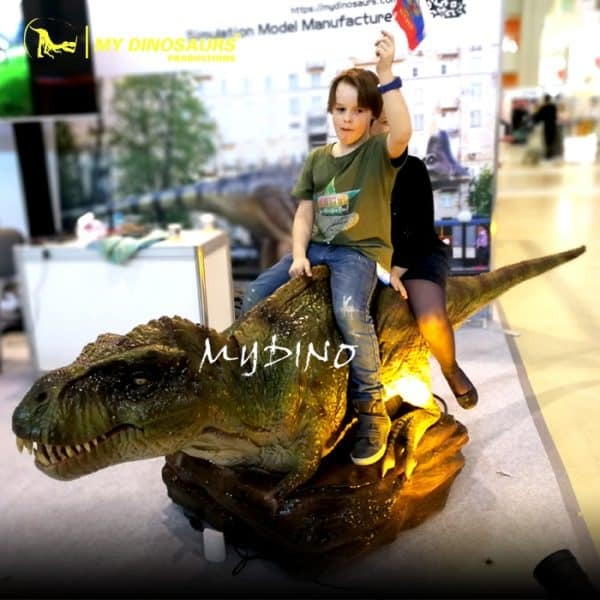 Dinosaur rides on saddles:The rides offered by the restaurants will help you in attracting your visitors around for a longer period of time. The rides should be free of cost or just costing a very small amount of the visitors, a do have multiple rides at your store so that there is no queue for the same. Although the theme restaurant is in trend you should remember one thing that if the food served in your restaurant is not worth visiting again then no client will be looking forward to it. So, the food is definitely an attraction and if you serve delicious food and treat them well they will definitely want to visit you again. The theme can attract them to pay the visit first time. But you should know how to make them come to you over and over again. Once the homework on food is done. Your next agenda should be to take it forward and stress upon them how to make it more happening or one of the best attractions in the city. You can also make your restaurant like an exhibition so that people just remove their attention from the food and get attracted to the theme. But then you should know that you need to change your interior on a routine basis and conduct activities so that you can offer something new to the on their visit. So, do look forward to making an interesting theme restaurant in your city. As it can bring instant name and fame to you, but do require lots of hard work and homework to be done from your side as well. So keep going and look forward to establishing your own Jurassic park today!!!! This entry was posted in Dinosaur Attractions, Our Projects and tagged dinosaur for restaurant, dinosaur theme restaurant.